Judge Crispo’s tenure on the bench and his extensive private career enable him to easily and effectively work with counsel and their clients to move matters toward resolution. Knowledgeable in many aspects of the law and highly respected by trial lawyers, Judge Crispo is insightful and personable. He has been able to achieve consensus in almost all matters brought before him. Business/Commercial, Construction Defect, Discovery, Employment, Entertainment, Family Law, Insurance Coverage and Bad Faith, Intellectual Property, Professional Malpractice, Personal Injury, Product Liability, Probate, Real Estate. Judge Crispo’s tenure as a Los Angeles Superior Court Judge included nearly a decade assigned to a Direct Civil Calendar, where he resolved a wide range of civil disputes. Since his retirement from the bench, he has mediated and arbitrated virtually every kind of case. Known for his ability to achieve consensus, Judge Crispo combines insight,knowledge of the law and a command of the settlement process. 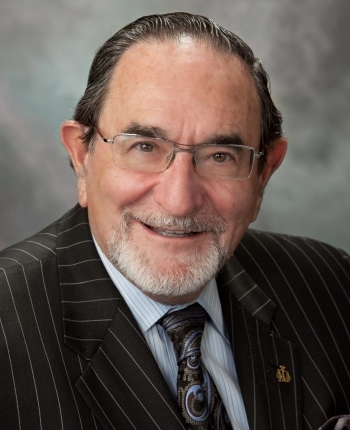 A legal professional for more than 40 years, Judge Crispo began his career as a Deputy City Attorney for the City of Los Angeles. He worked as a sole practitioner, associate and later Of Counsel to the firm of Gilbert, Thompson & Kelly before becoming a partner at Breidenbach, Swainston, Crispo & Way, where he remained until he was appointed to the Superior Court. Judge Crispo served on countless judicial committees and panels and has been a faculty member and frequent lecturer for a number of educational and legal institutions. Judge Crispo is available throughout California.